Found 3 holiday rentals in Bang Por. Artistically-designed semi-detached house within exclusive Kalara Gardens resort. Two infinity pools with jacuzzis surrounded by landscaped gardens. Three minutes from beach. Beachfront Coconut Laguna Resort - 3-bedroom villa with private pool at only 20 meters from the beautiful Bang Por Beach. 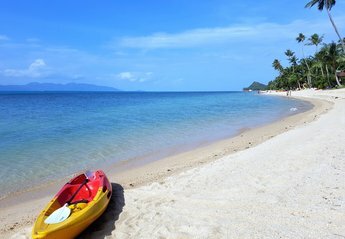 We are located near Mae Nam on the North Coast of Koh Samui. 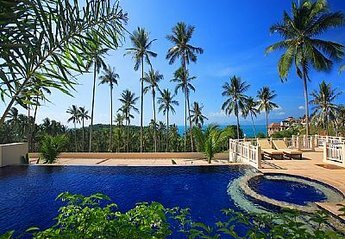 Beachfront Coconut Laguna Resort - 2-bedroom villa at only 40 meters from the beautiful Bang Por Beach. We are located near Mae Nam on the North Coast of Koh Samui. Looking for holiday lettings in Bang Por? We are in the process of placing rental properties in Bang Por on this page. Please enter your name and email address below and our team will email you our selection of properties in Bang Por. And this is a FREE service!